Yacabo BK or ‘Jake’ as we call him at home joined the yard in late August 2018. He has been, as you would expect beautifully trained and I was so lucky to feel at one with him straight away. 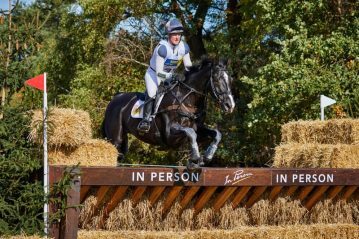 After a couple of getting to know each other runs we went to Boekelo CCI*** in Holland. He did a beautiful dressage to lie 5th after the first phase, we had an amazing time on the xc, he certainly didn’t feel the 8 yr old that he is until the last combination near to home where his brain started to get tired and a silly 20 penalties where picked up, which was a massive shame as it felt like an established round until then. He then came out on the Sunday and jumped a fabulous clear SJ. The whole week was for experience and partnership bonding which we did and very look forward to next season with him.